Dazzling to behold, Gemworld is one of the wonders of the Federation: an artificial world composed entirely of crystal, its atmosphere held in place by a sophisticated network of force fields. Home to a half dozen different sentient races, this singular world is a low-gravity playpen of mammoth spires, endless fractal staircases, gemstone arcs, and dazzling prisms, oil carefully nurtured by the planet's many inhabitants -- until now. Lieutenant Melora Pozlor, who previously served on Deep Space Nine, is currently stationed aboard the Starship Enterprise where an urgent telepathic summons alerts her to the danger threatening her homeworld. The crystals that once sheltered her people, and several other alien species, are now growing at a vastly accelerated and uncontrollable rate, wreaking havoc throughout the planet. 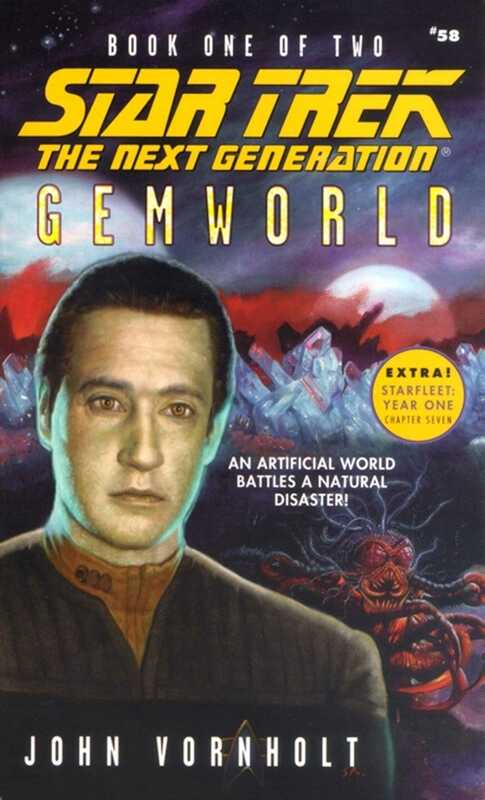 Captain Picard orders the Enterprise on a rescue mission to Gemworld, but they arrive to find a world in chaos -- and an unexpected menace that traps the crew of the Enterprise along with the fragile civilization they hoped to save!